I took the first ferry crossing once more the Cook Strait to Wellington. Leaving the sounds I watched the New Zealand film, the whale rider, based on the book exploring the ancestory and tradition of the Maori iwi (tribe) and chiefdom. With the other walk on passengers we left the boat and began following a guy with a yellow bib. We were nearly at the traffic lights and away from the terminal before we realised he wasn’t staff showing us the way but an anonymous, authoritative looking man. With hefty luggage in tow I was pleased my hostel was a mere 50m from the ferry terminal. I threw it down and made by bus to Mirawai where I could explore the Weta Cave. This animation and special effect studio has contributed heavily to the Lord of the Rings and Hobbit, Avatar and other incredible feats of special effects and design. Starting out as a couple with an idea, their work led to collaboration with Peter Jackson, and through his early movies, opportunities came for more technology and imagination. 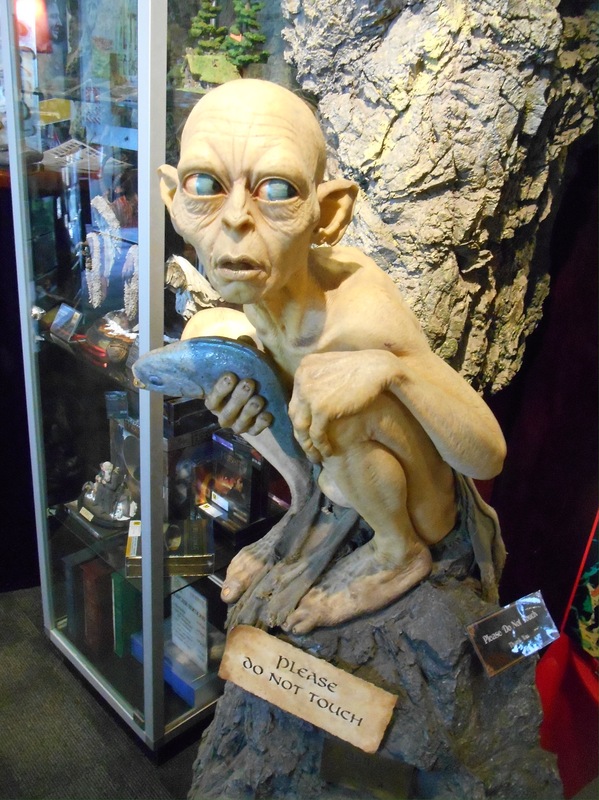 The mini museum is filled with memorabilia and figurines, characters and the like. 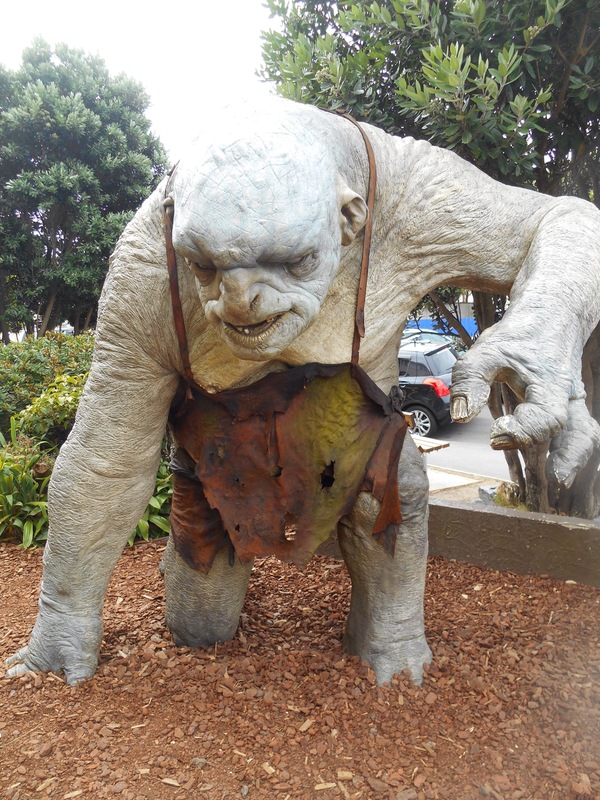 Outside, the trolls from LOTR and Hobbit stand, complete with weepy eyes and snotty noses. In the theatre a short movie took you through their blockbuster past showing the scope and imagination which has passed through those four walls. 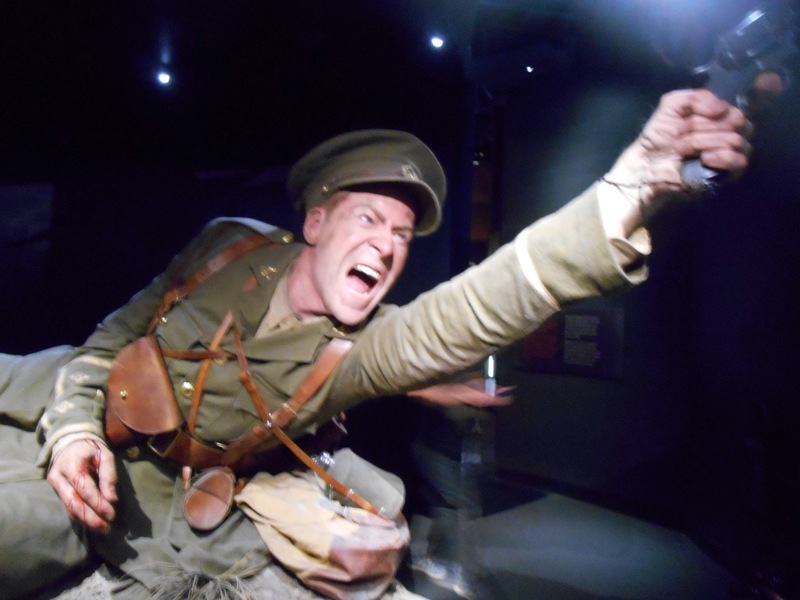 Back in town I was aquatinted with more work of Peter Jackson in the Gallipoli exhibition at Te Papa. Immediately confronted with lifelike statues following stories of real soldiers and nurses, 7x real life size. 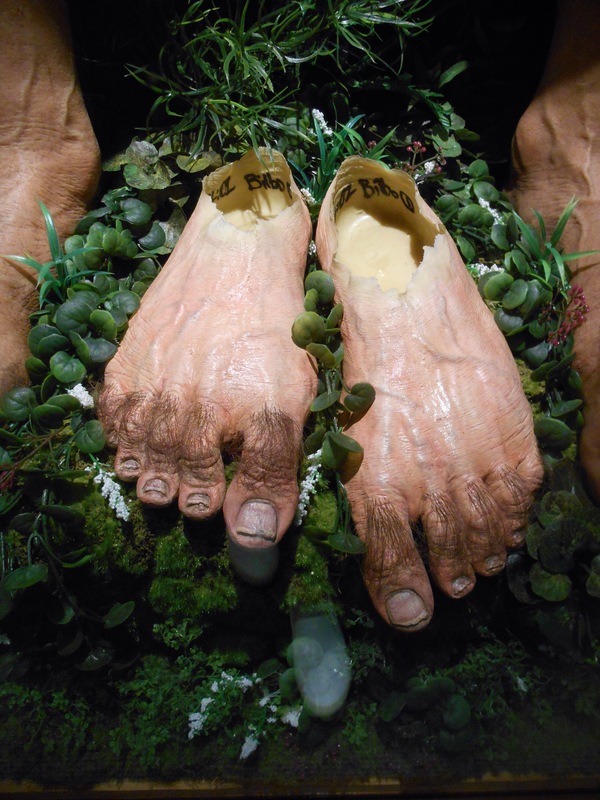 The sculptures were mesmerising, down to the detail of sweat and hairs on each knuckle. The exhibition followed the soldiers as they landed at Anzac cove on 25 April 1914, and squabbled against the Turks for minuscule gains over the course of World War One. The material was of course moving, but the exhibition was spectacular. The battle field shown with lights to show the back and forth nature of the fighting, areas being reinforced then quickly lost over a small territory. 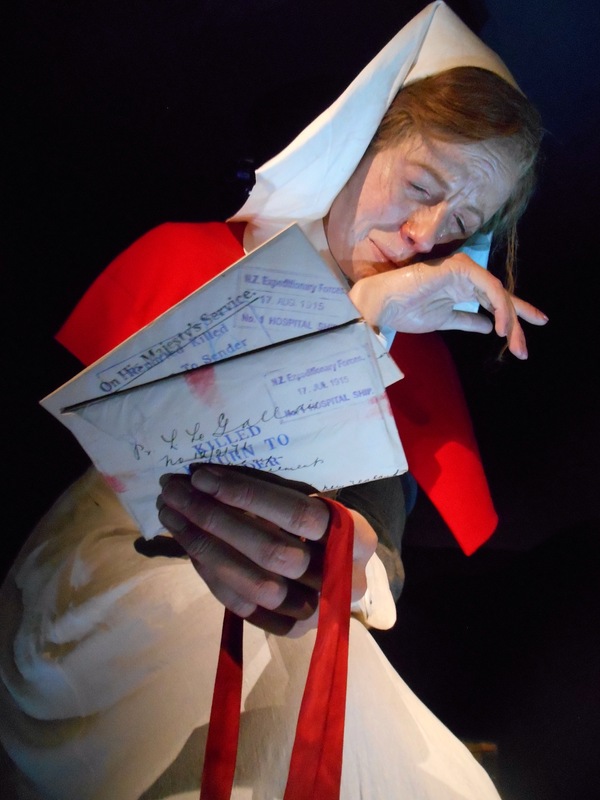 In each room a giant figurine, so realistic, depicting the story of a nurse or soldier, bringing them to life. On my way back from the museum I stumbled upon ‘Festival Playground.’ In Victorian era costume, many stalls and entertainers demonstrated games and stalls and called for participants. I first had 10 minutes relaxation in a swinging deckchair, the operator controlling a fan from a bit of rope, the headphones being filled with the sound of a male voice, gently lulling me into a relaxed state before sounding a horn and sending us on our way. There was bicycle operated merry go rounds and I had a go shooting olive pips at bicycle bells. Unfortunately I wasn’t good enough at it to have a wish granted, but I enjoyed de pipping the olives. I picked up my little Toyota Yaris, a brand new car which would zoom me up to Auckland, a surprise plan with only a few accomplices. Leaving Wellington and driving up the west coast I was quickly impressed by the rocky coastline, looking out to Kapiti island. After a few photo stops I had a nice walk along the black sand beach of Paekakariki in the warm morning air. I then plodded along stopping by the river in Wanganui for lunch. The wide river calm under the city bridge, a big yellow inflatable duck floating on the water surface. 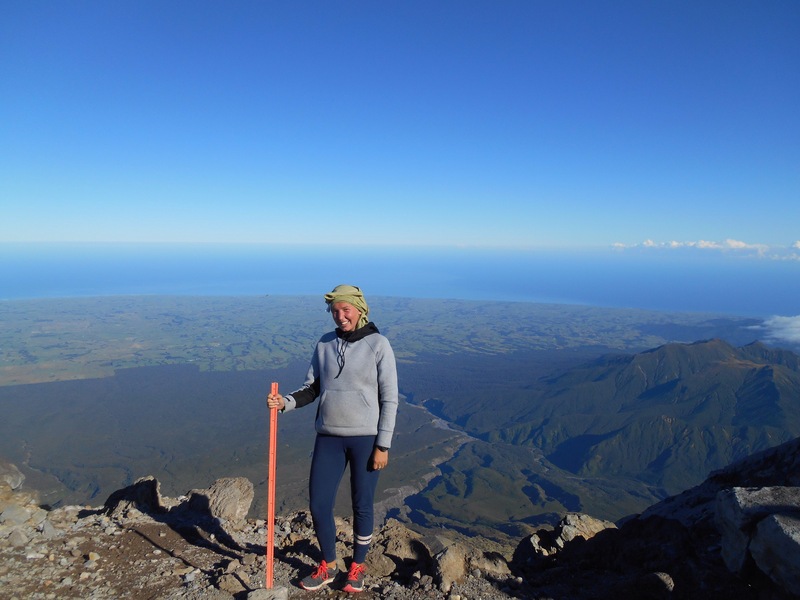 I had a quick play on the swings and then continued north in my more adult toy car to the edges of Egmont National park and my first glimpses of Mt Taranaki. The volcano is said to be mostly accompanied by its own cloud and at this point it obscured the view. 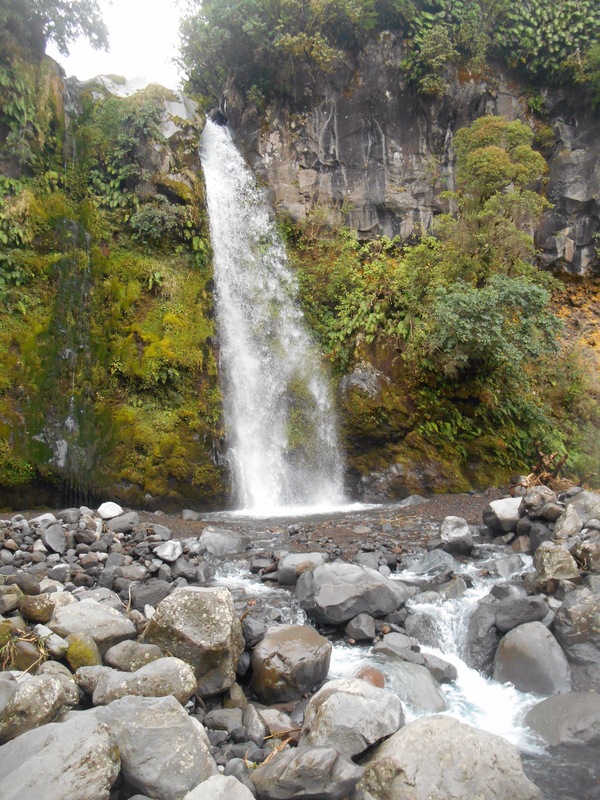 I turned inland to do some short walks in the park, Wilkies Pools and to see the Dawson falls. Amongst the bush and just on the cloud line it was cool and the lookout over the flat surrounding area was beautiful. I headed back to the coast and Surf Highway amongst small country roads, emerging in Onakau. Here there were many surfers demonstrating their skills on the impressive breaks, the sand was warm and the water cooling. I had an ice cream and enjoyed the break from my mammoth drive. 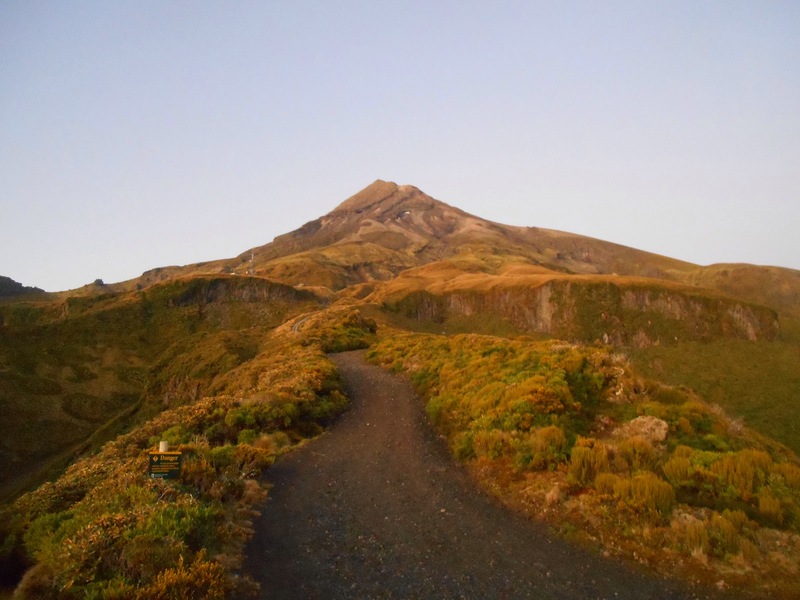 Mt Taranaki had shifted its cloud and its impressively steep summit was visible, craggy like a true volcano, pointy like a wizards hat. I was hoping the weather would mean I could rise to its challenge. I then drove to New Plymouth, did a few laps of the one way and headed out to North Egmont to spend the night. It was already 7pm and a tiring day on the move enjoying the surprises of the Western coast. 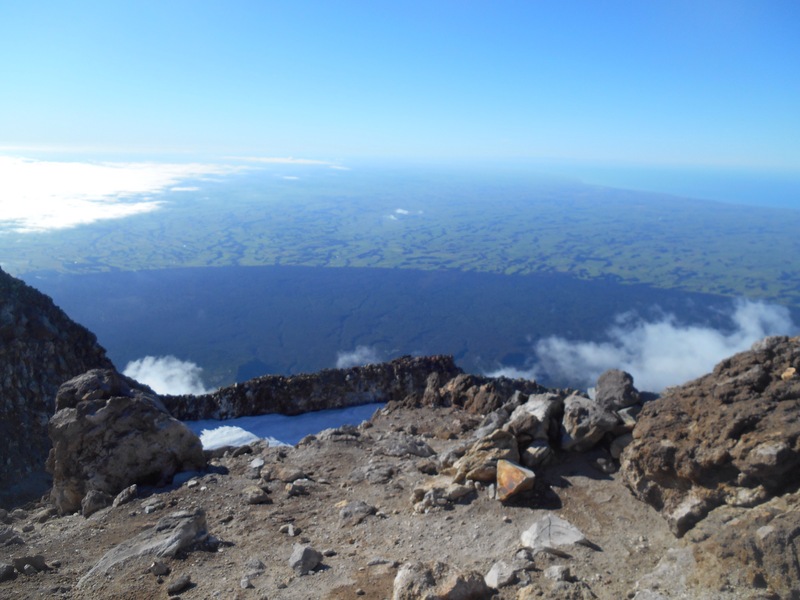 I was planning to observe the weather and try to climb to the summit of Mt Taranaki. An early start would be needed as it is advised an 8-10 hour climb and I was anticipating day break, however the camp host said to start climbing at 6am. Alarm set, I had an early, but long and uncomfortable night. I was almost relieved to see 5am, pack up the tent and pack in some protein to start the climb. 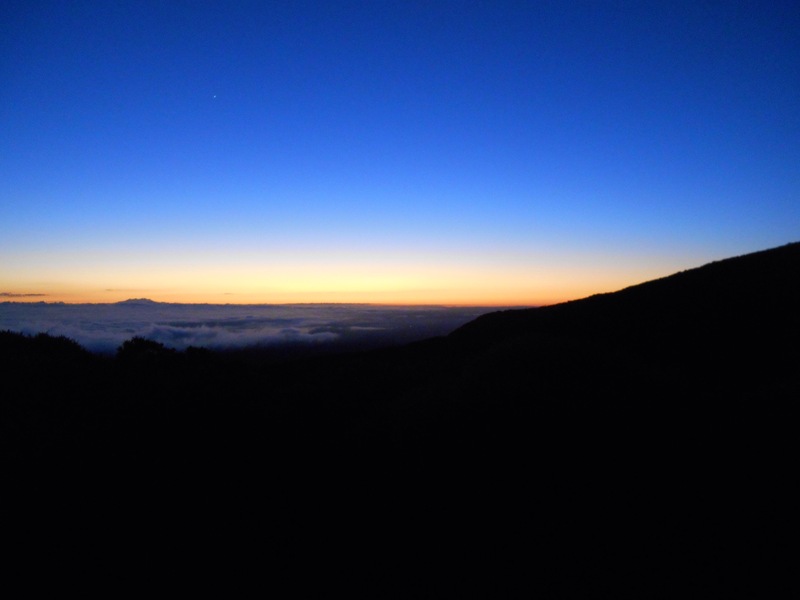 It was still dark at 6:15 when I began the steep walk through the bush. As I emerged at 7am, the sky was on fire, the orange skyline announcing the suns impressive arrival. The first hour was a walk, the second hour a tiring scrabble up steep screw slopes. I took an abandoned trail marker as a stick and with my top tied around my head as a sweatband I felt like a shepherd. I climbed a pace with a man from Fort William and two Swedish guys who appeared surprised I was keeping up with them, albeit panting. The third hour was climbing up boulders and rocks in a steep ascent. It looked like you were nearly there, nearly there, nearly there, until you dropped over the top into the crater, filled with ice. 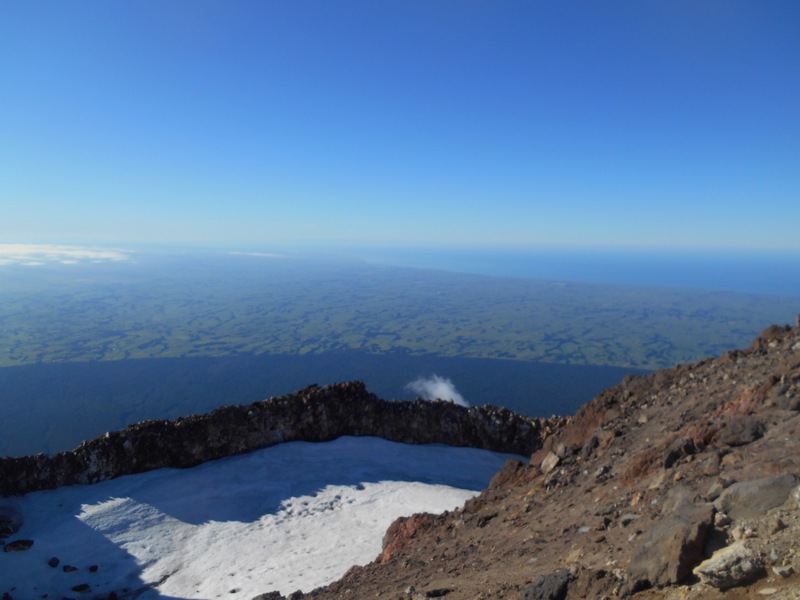 A short hobble across the ice, a final screw slope and then victory, the 360 degree view of the surf coast, New Plymouth and the Mount Ruapehu and Mt Doom inland. It was perfectly clear and at 2618 metres, the air was still and warm. A few had victory beers, I was happy with my water and hastily prepared peanut butter sandwich. The climb down was equally as challenging but at least you were the one telling others ‘your nearly there’ instead of hearing it. The scree sloped sent legs a kimbo, landing on bum, hips, elbows. Bruises and bloody elbows I adopted a crouched position and slid as delicately as I could for much of the way. It went on forever. 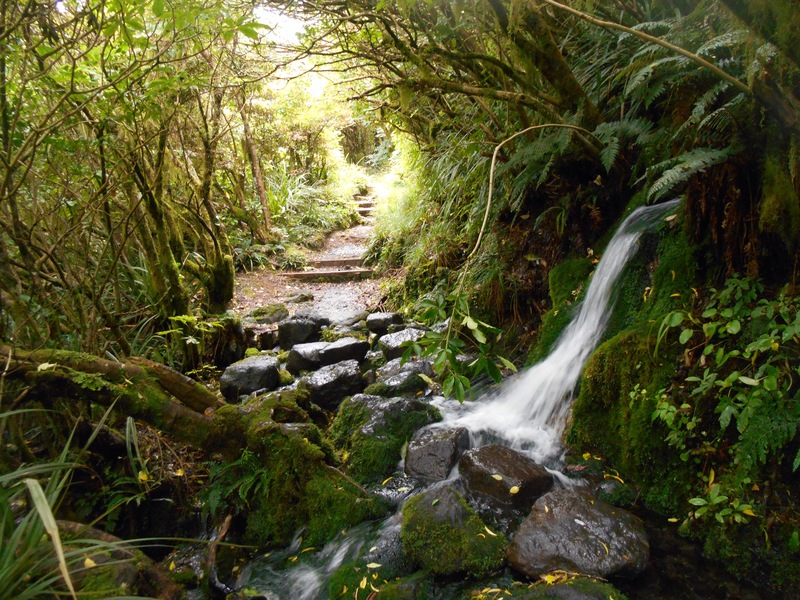 Then came the flight of stairs and the winding descent through bush. I was back at base just before 12, a 5 and a half hour challenging climb. I jumped in the car and hit the accelerator for a long journey back to Auckland. With one coffee break, I arrived there in the evening, still smeared with sweat, blood and dirt, but happy to be home. And so that’s it, end of one adventure and ‘home’ for a little while. It is indeed! Have you been here? 😭😭 no, the pain!!! It’s such a beautiful country! !